Using videos in your posts, as well as other types of media, will enrich them, which is a very good thing for content marketing, user experience, and on-page SEO! 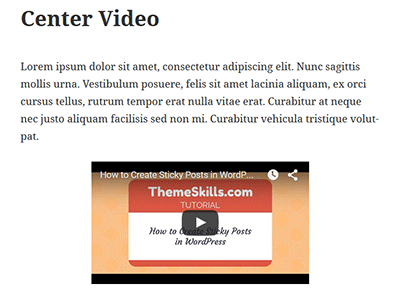 Usually, when you embed a video in your blog post, it will be displayed on the left side, which might look ugly. 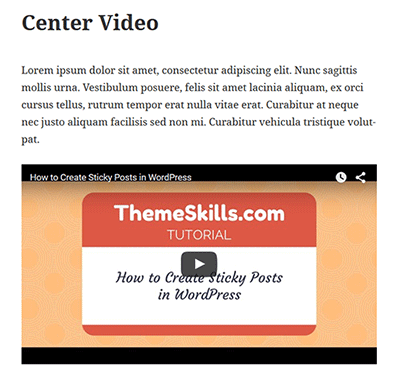 So, in this article, we’ll give you a tip on how to center a video in WordPress! For our example, we’ll use YouTube, which is the most common way of adding videos to your posts. This tip also applies to other video-sharing websites, like Vimeo, Vine, and others. 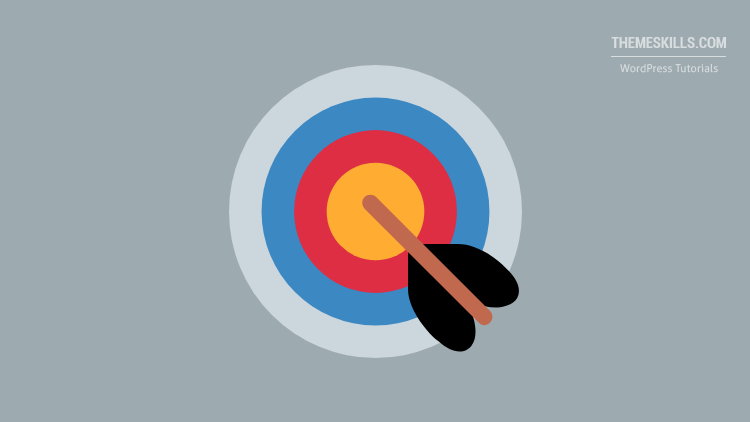 The simplest way to embed a video in WordPress is to just copy the video’s link (e.g. https://www.youtube.com/watch?v=pov5VBarQt8 ), then paste it into your post’s text editor, and WordPress will automatically load it. This method won’t work for all video-sharing websites! As you can see, it’s not centered, a thing which leads us to our main topic. In order to center a video, you’ll need to add a piece of code around the embed part. Don’t worry, it’s simple. Note that on a lot of themes, the video won’t be responsive anymore when using an embed code. So, check this guide on how to make embedded YouTube videos responsive. 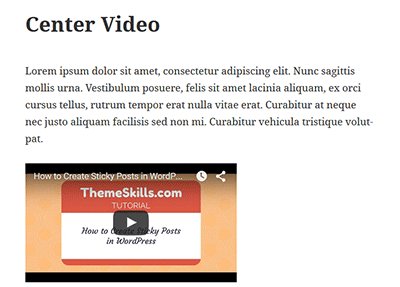 Now that you know how to center a video in WordPress, your content will look more organized and appealing! Note that if you just paste the video’s link, not the embed code, as I mentioned above, you won’t need to center it anymore, of course, because it will cover the whole width of your post! Hope you enjoyed our post! If you have any questions or thoughts, please drop a comment! Feel free to update this comment box after you do the edit to just the first two sentences and the last two. Hello! Thanks for the heads-up! I’ve made the modification. Pasting the link, or embedding it, shows the video on the page when I refresh. But when I try to centre it by adding the code around it, it only shows up as the URL. Any idea why?